Today, I would like to keep the write-up very Minimal. This photo of "The Low hanging dry twig of a plant against the textured red Indian wall", narrates a story/poem on its own. Much has been experienced by it and words lose strength in front of such photos. 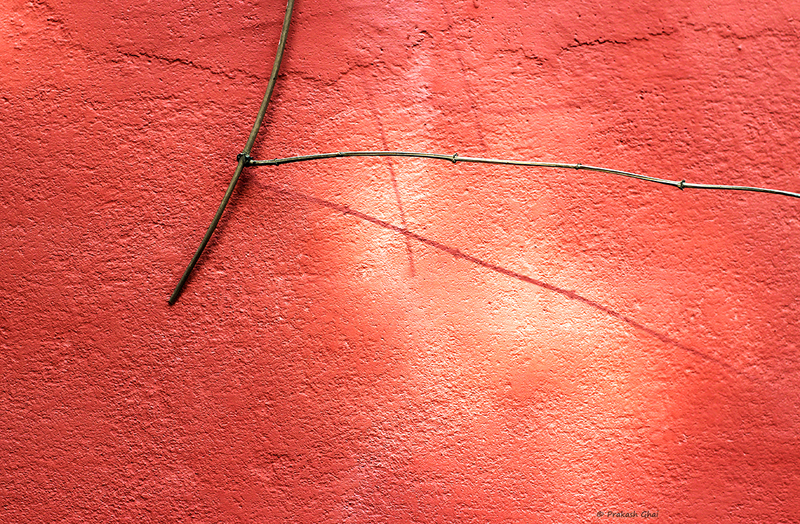 To shoot such photos, first find a Red Wall and then look for objects against it. Green plants/leaves are also very good subjects for such backdrops. If you like the photo, please up-vote it by sharing it on one of your social media accounts. Good one..took me time to figure out..